This new Honda minivan offers something for everyone with over 50 technology features, a Multi-Angle Rearview Camera, Blind Spot Information System and more. The available 19-inch Alloy Wheels will take your family on your next summer adventure. The dynamic front end incorporates LED headlights into streamlined body lines. Striking and simple design elements decorate the new Odyssey such as the LED taillights. The interior offers connectivity, comfort, and fun. Slide inside to experience all this new minivan from Honda offers you and your family. Visit Premier Honda in New Orleans, Louisiana to find your Odyssey! With more than 25 connected audio features, the new Odyssey makes it easy to stay in touch with your compatible smart device. Bluetooth®, multiple USB ports, Apple CarPlay™, and Android Auto™ allow Odyssey occupants to play their favorite podcasts, music, audiobooks, and more via an 8-inch touch-screen. On those long drives, the Wireless Phone Charger removes the clutter of wires and keeps your device fully charged. Backseat passengers can charge their compatible devices via rear USB charging ports. If you drive a minivan, safety is on your mind. Honda removes the worry by installing Honda Sensing® on their new Odyssey. This suite of advanced driver-assist systems delivers Road Departure Mitigation, Collision Mitigation Braking, Lane Keep Assist, and Adaptive Cruise Control. Protect yourself and your passengers while enjoying the roads of Metairie and Kenner in this new Honda minivan. 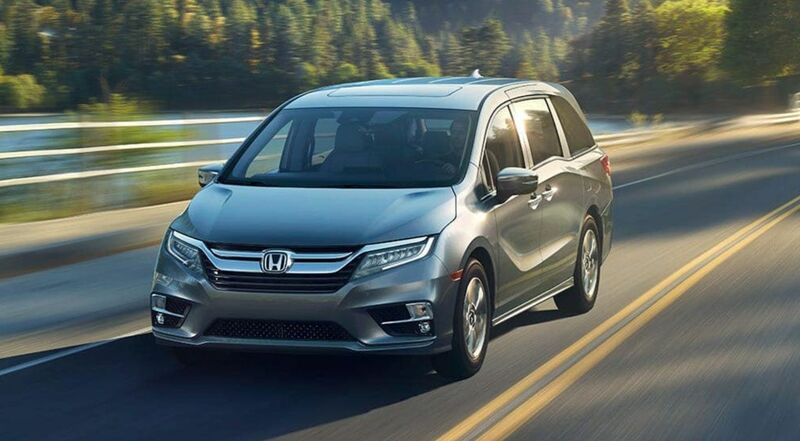 If you are shopping for an affordable minivan, discover the lease deals happening now on the new Honda Odyssey at Premier Honda. Notable features throughout the trim range are 280 horsepower, 3.5-Liter V-6 Engine, Magic Slide 2nd-Row Seats™, Height-Adjustable Power Tailgate, Front & Rear Parking Sensors, and a Wireless Phone Charger. Discover more at our New Orleans car dealership. The cabin of the new Odyssey offers many comforts. This family-van comes with Honda CabinWatch® to help you keep an eye on things even at night. Opt for the available rear entertainment system to stream DVDs, audio Apps, or Blue-ray™ disks. Tired of shouting? Honda CabinTalk™ gives you the ability to talk to passengers in the backseat via RES connected headphones or through the rear speakers if you take home the Elite trim. The 2019 Odyssey arrives in five distinct trim models to browse. The base LX delivers 18-Inch Alloy Wheels, Honda Sensing®, and a Multi-Angle Rearview Camera. In the Odyssey EX, we find Honda Sensing®, Smart Entry with Walk-Away and Blind Spot Information. Opt for the EX-L if you want leather-trimmed seating. The Touring will give you Front & Rear parking sensors, and a Rear Entertainment System. In the Odyssey Touring, we find Rain-Sensing Windshield Wipers, heated/ventilated front seats, and an 11-speaker Premium Audio System.